Stellar, a view I’ll likely never see. What is this I have read about this place? Something about a mine and having to have permission to cross their land to get here? (HK) Hi Jeff, thanks for your comments. Yes, just a few kilometers away is the Freeport mine, one of the biggest ecological (and sociological) disasters in the world. They have made a private road that goes close to the mountain, but it is not allowed to use it. Wow, great shot. Such an unfriendly but yet beautiful scenery.. Unwelcome maybe but beautiful definitely! 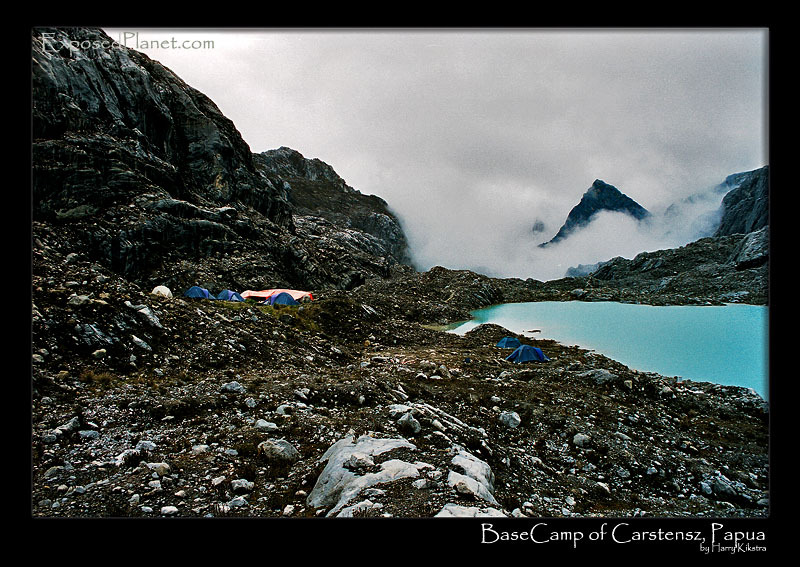 The story behind "Basecamp of Carstensz Pyramid, Papua"